Some babies require additional support during the transition period (the first hour or two after birth) and beyond. Memorial Family Care Birthing Centers' Level II Nurseries can accommodate babies who require specialized care due to premature birth or other health issues. Memorial Hospital Belleville offers a Level II Nursery and Memorial Hospital East a Level II E Nursery. The Level II E Nursery has everything the Level II Nursery does, but its team also cares for babies who are a little earlier (as early as 30 weeks), a little smaller (as small as 2.75 pounds), and a little more fragile (those on assisted ventilation). The Level II and Level II E Nursery staffs work with families to educate them to the unique requirements of their baby, so they are comfortable with the newborn’s care. 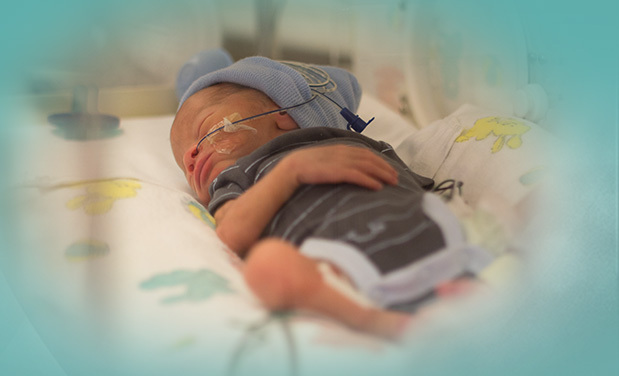 A neonatologist, pediatrician, or family practitioner and Level II or Level II E Nursery nurse work collaboratively to care for premature babies and those who need extra medical care. These babies may be treated for conditions such as respiratory difficulties, feeding problems, congenital abnormalities, infections, or low blood glucose levels. Babies in the Level II or Level II E Nurseries may require treatments such as IV fluids, oxygen, antibiotics, phototherapy, or assistance with breathing. 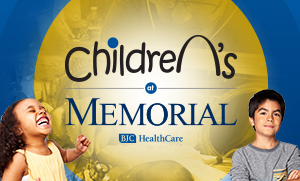 St. Louis Children's Hospital is now at Memorial Hospitals. 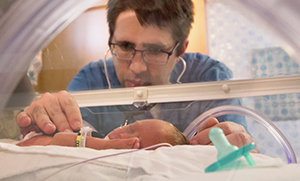 Learn how our neonatologists provide extra care for babies who need it.